From now on with the Polaroid waterproof housing case owners of these cameras will have the freedom to take a photo by the sea or in your swimming pool - above the water or under it. 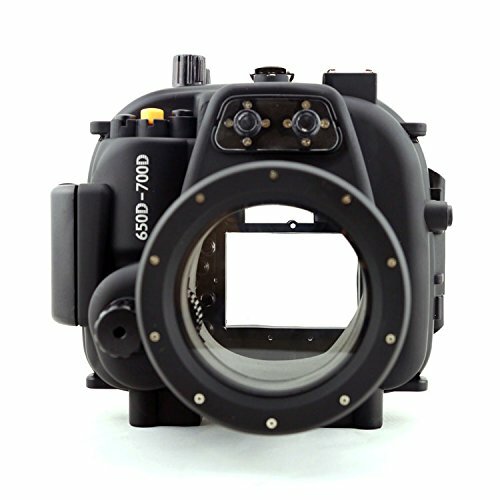 Take your camera surfing, yachting or diving to depths of up to 130 feet. There is also occasions that occur out of water where your waterproof case will help you take extraordinary pictures; use it on in the rain, snow or dusty and muddy environments - pretty much wherever and whenever you need to protect your valuable camera. 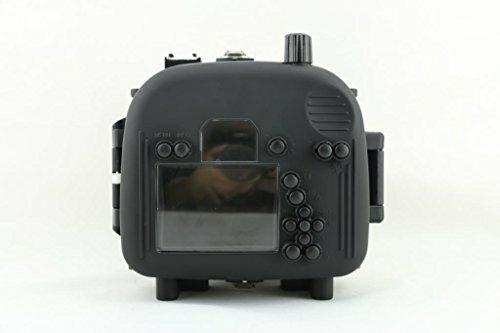 Taking a professional quality camera diving to depths exceeding 100-ft mandates that you use a professional quality underwater camera housing, and this Polaroid housing for Canon & Nikon SLR cameras offers that quality. 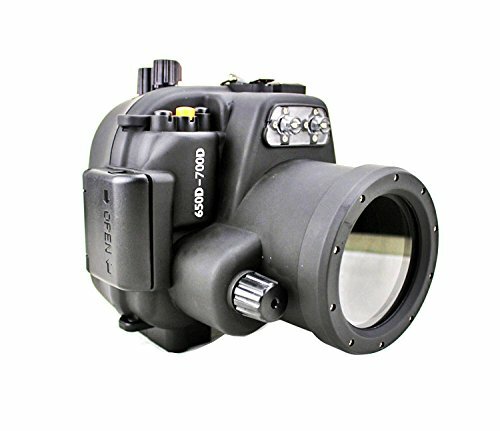 Twenty-two camera operations are available through the use of waterproof push buttons and rotary dials. You'll have complete control of camera shake, underwater color balance, HD movie recording and HD photos. Complete instructions are provided for you to test that the housing is watertight each and every time you use it. The Polaroid camera accessories company is as interested in protecting your camera as much as you are. 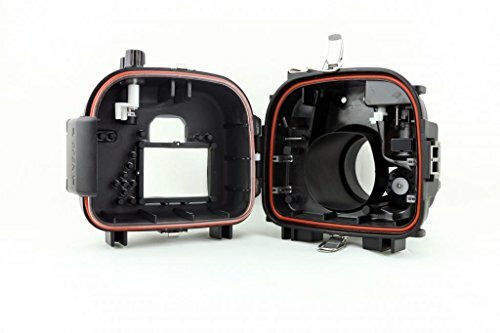 That's why there are two large water seals come together and are kept in contact by three housing clamps holding the front and back closed. 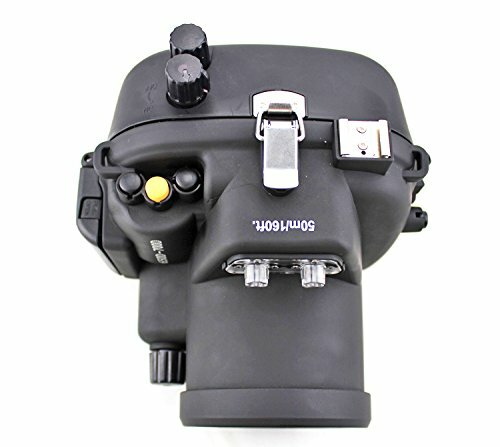 To better control the camera during underwater use, it is recommended that this waterproof housing be attached to a dual-handle stabilizer mount available from your Polaroid camera accessories dealer. Please Note: Image shown above may vary slightly from actual product shipped depending on model.